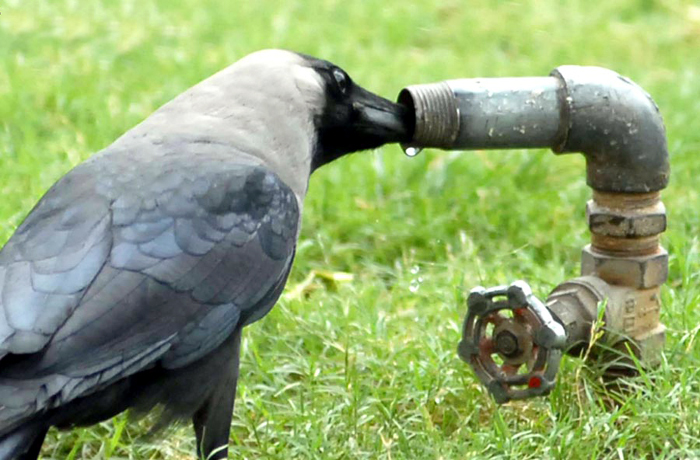 I can think of a lot of things for the word, but the foremost that comes to my mind is the story of the thirsty crow that I used to narrate when I was probably in my second or third standard. I would stress on the "r" in crow, it seems. And, it seems the crow used to be my favourite bird too! Guess the story had too much effect on me. I was amused to discover that these stories are still around and do read it out to R many a time. Of course, in today's age and development, such stories seem quite silly. Does the water really rise when pebbles are dropped into the pot? Yes, I'm wondering quite late in my life about this story. Well, crows are smarter than the story writer thought, apparently. This is my take on the prompt-thirst for the blog-a-prompt. of course water rises when you drop pebbles in them no?? Aiyo dont break my heart and tell me it doesnt happen! haha..haven't experimented it, RM..so let's go by the story, then?